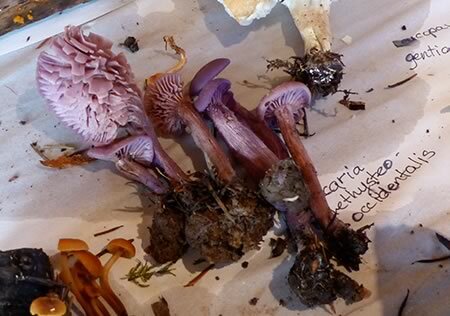 Since 2013 the Metchosin MycoBlitz has been a fall spinoff of the Metchosin BioBlitz, projects of the Metchosin Biodiversity Project. Dozens of amateur mycologists and nature lovers search the woods for as many different kinds of mushrooms and fungi as they can find in a single day. Every year between 100 and 200 different species are found with new species discovered each year. Read more about and see pictures of local mushrooms and fungi.